Born the son of a Leicestershire master wheelwright, John Ferneley Snr. became the leading sporting painter of his day. His precocious talent was recognised by John Manners, 5th Duke of Rutland when he caught sight of Ferneley's paintings on the foreboards of local wagons that had been repaired by his father. The Duke arranged for Ferneley to be apprenticed to another Leicestershire artist, Ben Marshall at his studio in London. 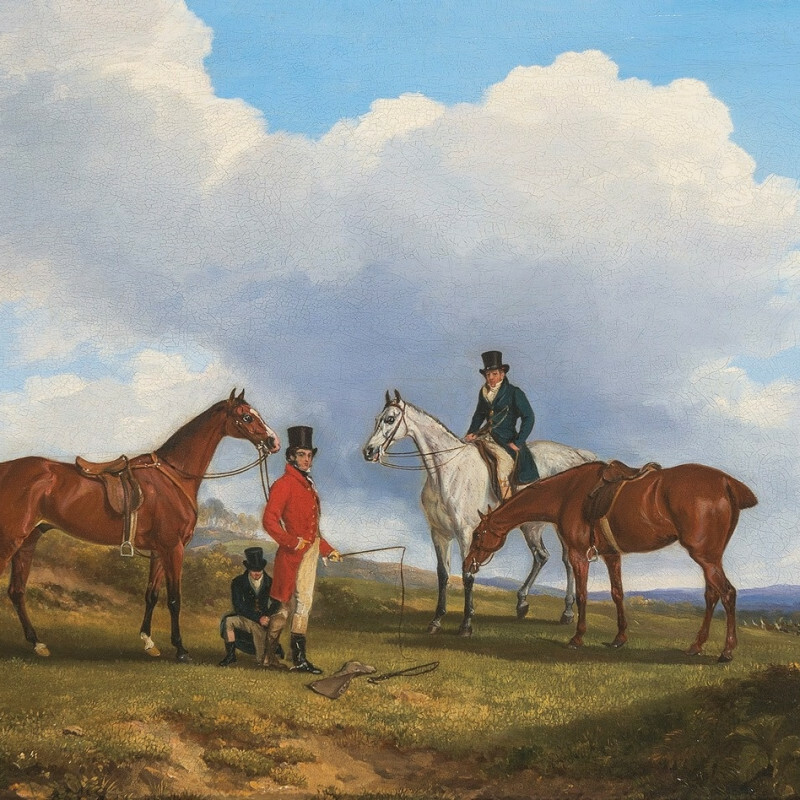 Ferneley quickly established himself, exhibiting his first picture at the Royal Academy in 1806. By 1814 he had moved back to Leicestershire, settling in Melton Mowbray. He visited London annually and continued to exhibit at the Royal Academy throughout his life, but his busy account books of 1807–1860 show that such was his success, Ferneley did not need to look to London for his market.